Short par 5, excellently defended at each shot. 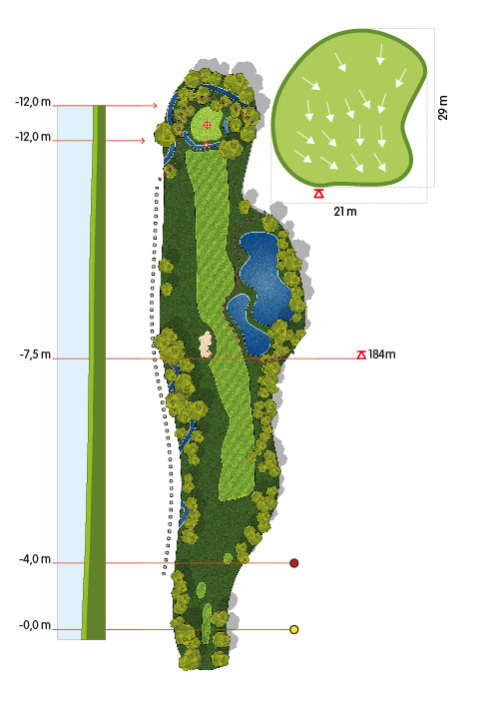 The fairway is located between a bunker and a small lake. Two strips of water defend the green.